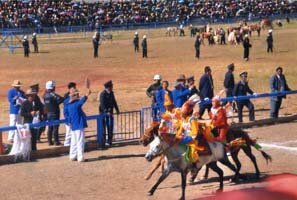 As the political, economic, and cultural center of the Tibetan religion, there are many religious festivals held in Lhasa. 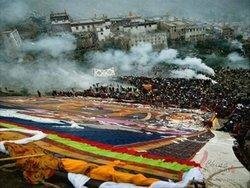 The Thangka Unveiling at Tashilhunpo Monastery is one of them. 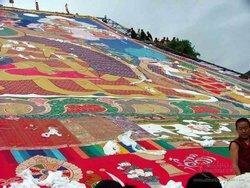 It is a Thangka worship festival where huge Thangkas (Buddhist tapestries) are displayed. 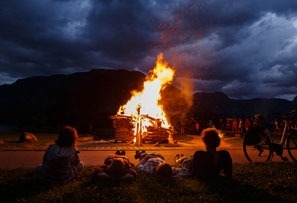 Zamling Chisang is a festival that celebrates the founding of Samye Monastery and the achievements of Guru Rinpoche. 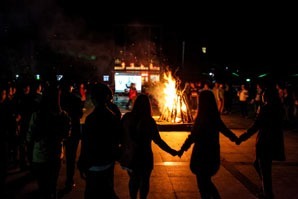 It falls on the fifteenth day of the fifth month of the Tibetan calendar. 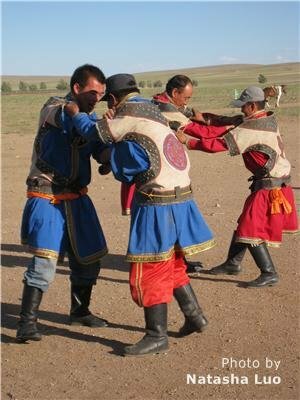 It is a traditional festival with strong Tibet characteristics. Gyantse is an ancient town in Tibet, which was important in Tibetan history. 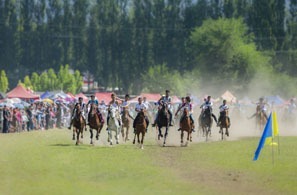 Gyantse Horse Race Festival is the grandest festival in the region of Shigatse. 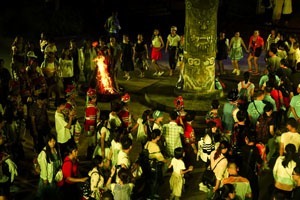 People wear their characteristic ethnic costumes to attend the festival.